Folding size: H340 × W350 × D280 (mm) Cooler back size: H340 × W300 × D210 Weight: 1750 g Maintaining cold: 18 L Load capacity: 100 kg ※ Images on products you are selling may represent representative images . Moreover， it may look different from the actual color. Please note. 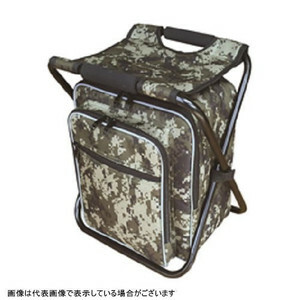 A backpack cooler bag chair that you can carry on your back. Great activity for outdoor scenes such as fishing and camping ! !